The power- and glory of Lord Shiva pervades the cosmos and shines as consciousness in the hearts of all beings. To appreciate the divine attributes of Shiva and worship Him in the traditional manner is to attain victory in all endeavours and ultimately realise the true lord in the heart. Siva is the supreme being for whom even aakaasha. The subtlest of elements is a symbol. As the Vedic Rudra, he destroys darkness and evil that stand in the way of divine realisation. As Dakshinamurthy, He is the supreme teacher and blesses devotees with ripeness, wisdom and mastery. As Ardhanareeswara, He is the One who shows perfect harmony between the seemingly opposite male and female elements and blesses devotees with marital bliss and happiness. As Nataraja, the dancing lord of Chidambaram, he signifies the dance of divine energy in the cosmos and in our hearts.As Maargabandhu, Shiva is the protector on the path, and functions as our armour during journeys. As Kaalabhairava, He helps devotees make the best use of their time and achieve the purpose of human life. As jyothirlinga, or lingas of light he manifests Himself in various divine centres and blesses worshippers with bliss and knowledge. As Namashivaaya, the five-syllabled mantra, He is the way and guide to divinity. As Mrityunjaya, He blesses devotees with health and long life and confers immortality. 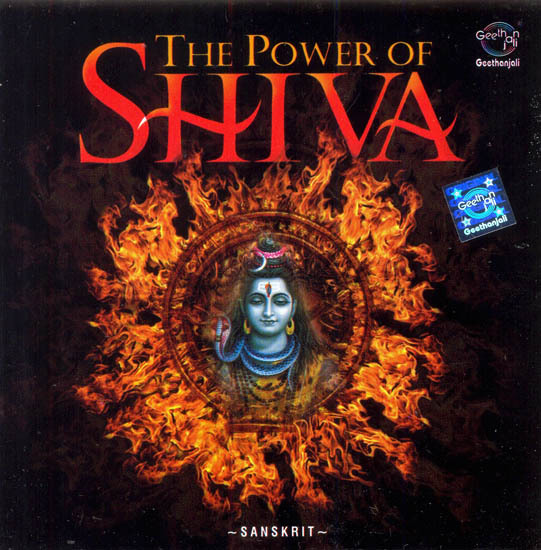 This CD comprising powerful hymns on the glorious manifestations of Lord Shiva is a sure way of unlocking the divine power and blessings of Lord Shiva.